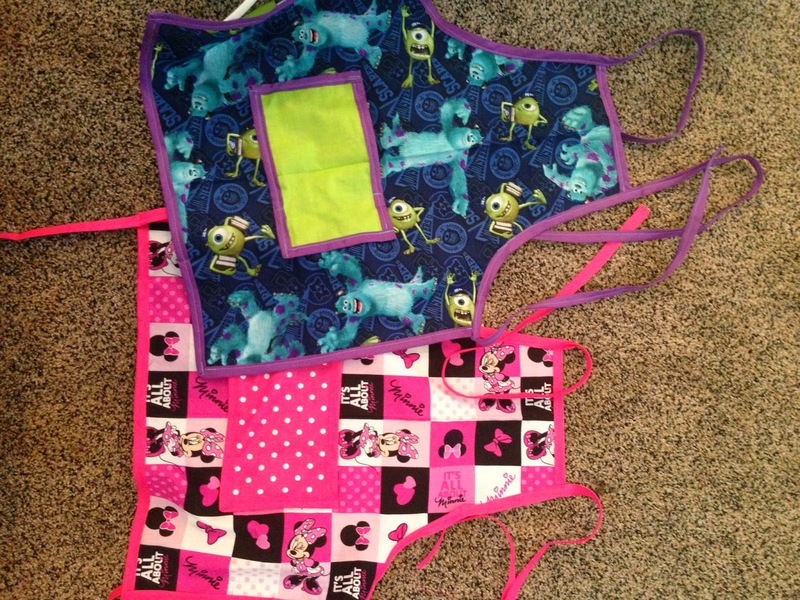 I was feeling a little ambitious one day and decided to make the kids some aprons. 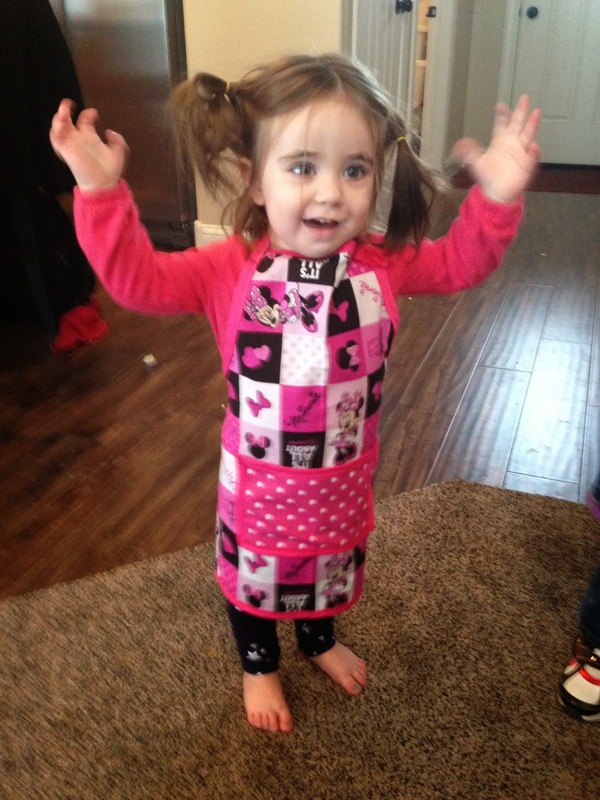 They like helping me cook and doing crafts, so I thought aprons would be fun for them to wear so they don't make messes. I thought they turned out really cute! They didn't take much time and the kids liked the fabric I picked out for them. 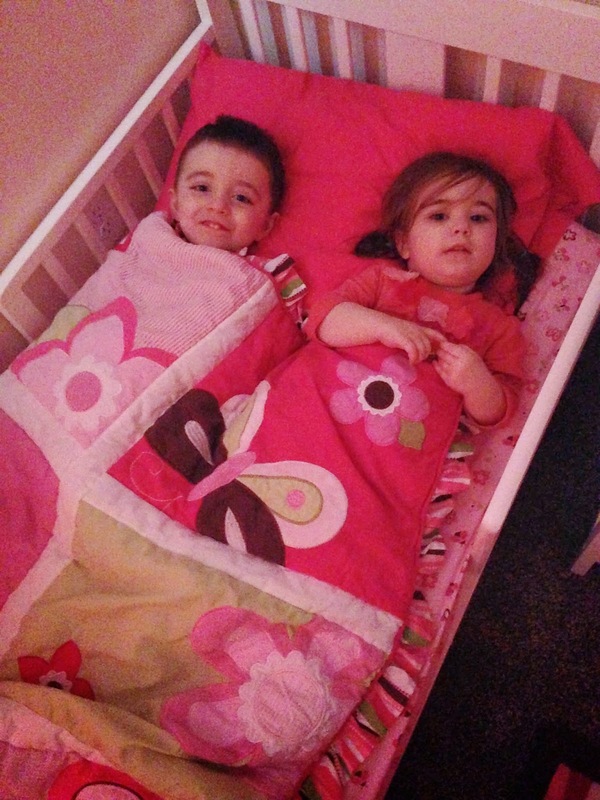 I also decided to put together the toddler bed we bought for Brooklyn. Now THAT was a project. Trying to put it together by myself with 3 little kids "helping" was more time consuming than I thought it would be. When I finally finished it I rearranged Brooklyn's room to fit the crib and bed in it. Brooklyn was really excited when she realized that the bed was for her. She jumped right in and laid there with Carson while I finished arranging her room. I was worried about how Brooklyn would do moving from the crib to the bed and decided that I would wait until the weekend to make the transition. I wouldn't have even attempted it at all, but I wanted Morgan to have a place to sleep and knew that having her in another room would allow me to get more sleep. When I went to lay Brooklyn down for her nap, she threw a fit when I put her in her crib. She kept pointing to her bed. I put her in her bed and left, thinking that I would have to go back in a few minutes to put her in the crib. Nope! She went right to sleep! Thinking it was a fluke we tried again at bedtime. Same thing! She transitioned without any problems at all! Way to go! Carson cracks me up. He loves Mac & Cheese. LOVES it. Everytime we go out to eat that is what he orders. 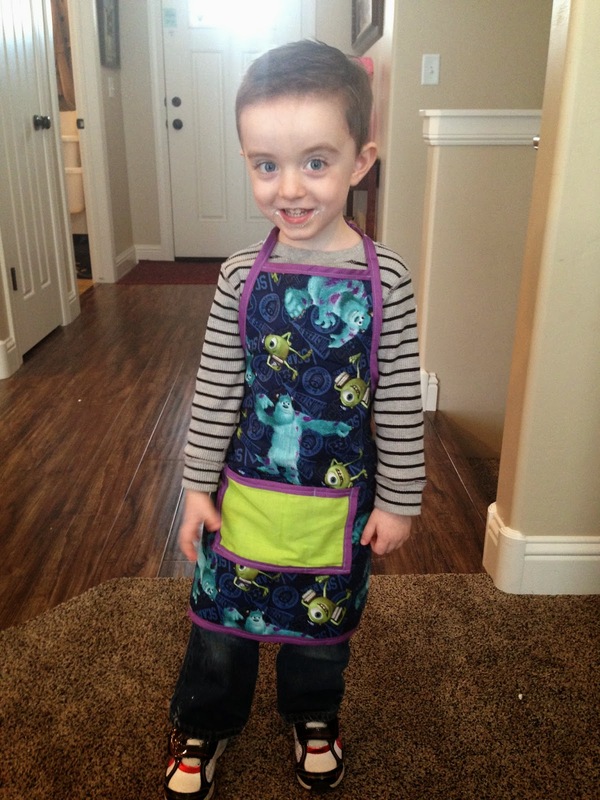 Anytime I ask him what he wants to eat, he yells Mac&Cheese! One day I asked him what I should make for dinner. He responded with his usual, "Mac & Cheese!" Knowing that Jason was in class and wouldn't be home for dinner, and being tired and not in the mood to cook, I agreed. Carson was so surprised that I said yes that he started jumping up and down. Then he ran over to me and gave me the biggest hug. "You are my favorite best friend, ever!" Thanks, kiddo. Love you back.